Premier free-chat portal Chaturbate [https://Chaturbate.com] and 21 Chaturbate Broadcasters are celebrating nominations for the LaLExpo Latin America Adult Business Awards, taking place February 21, 2018 at the Teatro Calima in Cali, Colombia. Chaturbate is in the running for trophies in three business categories, Best Overall Cam Site, Best North American Cam Site and Best Tipping Cam Site, with an additional nomination in the category of Best Industry Representative presented to Chaturbate Chief Operations Officer, Shirley Lara. “Chaturbate is very proud of all our broadcasters nominated in the LaLExpo awards and for the recognition of our strong presence in the twenty-plus countries that predominantly speak the Spanish language. 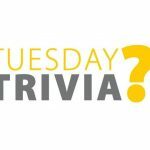 Our user-friendly cam platform provides unparalleled access to 600 Million adult entertainment consumers that live in those countries,” said Lara. In addition to the company’s nominations, Chaturbate Broadcasters have been voted as finalists for the LaLExpo Awards in the categories of Best Colombian Cam Model, Best Latin Webcam Model,Best Couple Webcam Model, Best Trans Webcam Model, Best Male Webcam Model and Best Female Webcam Model. The LaLExpo begins February 19 culminating with the awards ceremony on February 21. 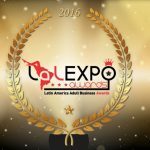 LaLExpo is the only adult industry event, uniting the Latin American and Spanish-speaking consumer markets. Held annually in Colombia, the three-day event brings together over 600 models and webcam studios from around the globe for seminars, panel discussions and networking opportunities. Best Colombian Cam Model; ashlyeroberts, AkiraLeen and EmilyThomsom. Best Latin Webcam Model; AshlyeRoberts, AkiraLeen, LorenRosse and Jenny_taborda. Best Trans Webcam Model; janicegrifith, mrskellypierce, natashabigcockx, Kristhywen, tsriannajames, Kendra_sexy and Andreaxbigcock. Best Male Webcam Model; Jaden Storm, GabeCam, JacobSex20 and jimmyspikes. Best Female Webcam Model; Caylin and Emilygrey_. We couldn’t help but notice that akiraleen one of the most beautiful cam girls on Chaturbate is a dual nominee. Check out Chaturbate at Chaturbate.com.